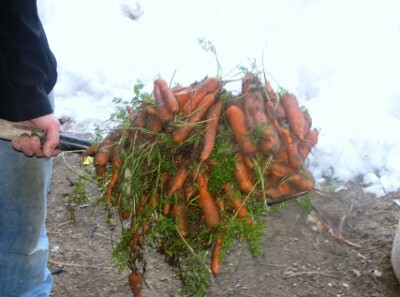 I don’t even know what the heck I’d do with all those giant mutant carrots aside from making a giant mutant carrot salad. I’d need a lot of eggs and mayo. Just one was more than enough for three people’s supper. 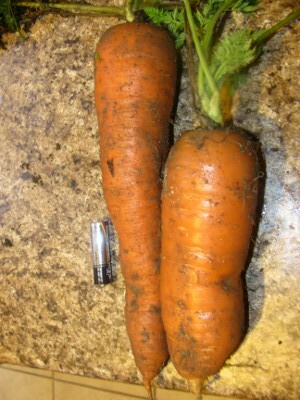 Crazy steroid carrots. 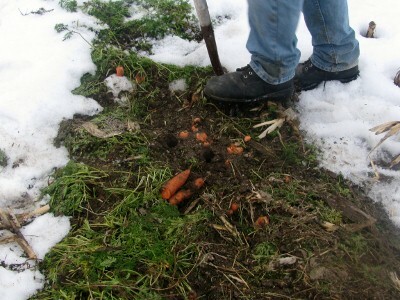 If those are your carrots, I’m going to be in awe of your potatoes. Those are AWESOME! I have a book called “The Four Season Harvest” that is just sitting on my bookcase, waiting for us to move where I can have a garden. I hope that’s soon! I can’t wait for Halloween to come around and see what kind of pumpkin patch you come up with.